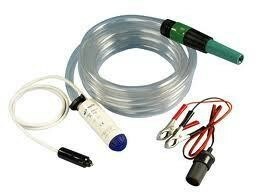 Kit comes with battery terminal connectors and cigar lighter plug, also includes self venting high flow submersible pump giving 15.75 l/min at 1.5 bar max pressure. Suitable to use as a shower pump system. Makes cleaning mountain bikes, off road vehicles and pets easy. Ideal for bilge or storm water clearance. Long hose and cable making filling and emptying easy. Comes complete with food quality clear hose. We can supply water carriers and, if needed, fittings to attach to horsebox or trailer. Please ring for a estimate.